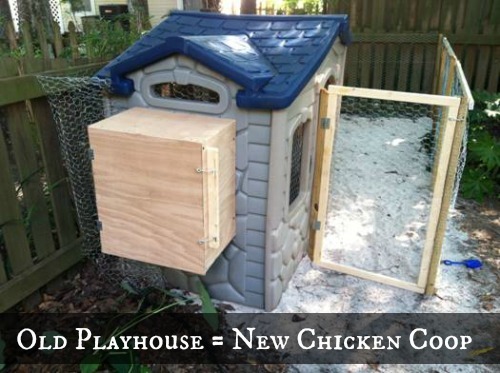 If you’re going to make your own chicken coop, but you don’t want to build it from scratch, here’s an idea: use a recycled playhouse for the coop. 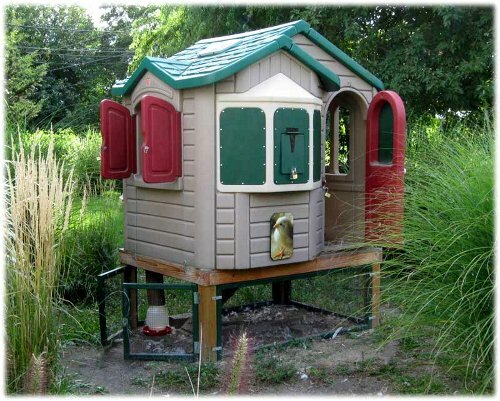 Kids Playhouse into a Chicken Coop. 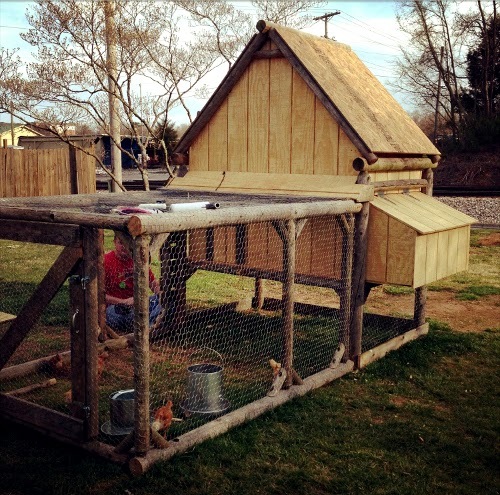 Another example off the Backyard Chickens forum. A fancy castle chicken coop! And one more, for the road. 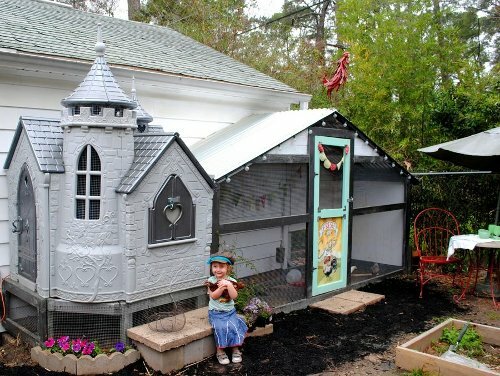 Ok, the little girl holding the chicken in front of the fancy castle chicken coop is adorable! I know. She loves her chickens. My pleasure, Candace. The coop looks great.